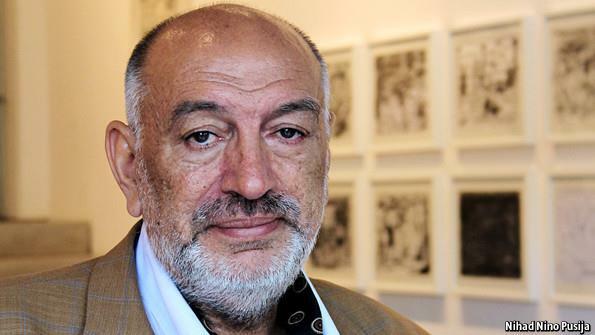 Nicolae Gheorghe († 2013), the founder of the Roma Movement in Romania and one of the most influential Roma public intellectuals, was born on 12 November 1946. To honour his contribution and to memorize his ideas the Pakiv European Roma Fund endorsed by the European Roma Institute for Arts and Culture held the “Nicolae Gheorghe Memorial Event” on 12 November 2018, on-site at ERIAC in Berlin. As a sign of the exquisite appreciation towards Nicolae Gheorghe´s contribution to Roma movement, ERIAC supported the remembrance of a great leader and his powerful ideas, which elevated and inspired the efforts of Roma for recognition on an international level as well as in his native Romania. The event was hosted by ERIAC and The Pakiv European Roma Fund, and was organized in the framework of the “Nicolae Gheorghe Memorial Days in Berlin.” The objective of the program was to pay tribute to Nicolae Gheorghe through inspiring youth to reflect on their identity and to become leaders and activists. Roma youth had the opportunity to participate in movie screenings and debates, as well as to visit the Roma Holocaust Memorial, the German Parliament (Bundestag), and ERIAC. At ERIAC, the group had the opportunity to present their research on Nicolae Gheorghe´s work, life, activism, and impact, as well as to engage in a discussion about the Roma identity. As part of the program, the group had the opportunity to be introduced to ERIAC’s mission, vision, and activities. The participants were also given a guided tour of the new ERIAC exhibition “Gypsyism Balkanism-Uniting peripheries.” The event ended with a movie screening on Nicolae Gheorghe´s life, followed by a discussion on the topic of challenges pertaining to the Roma recognition and acceptance.